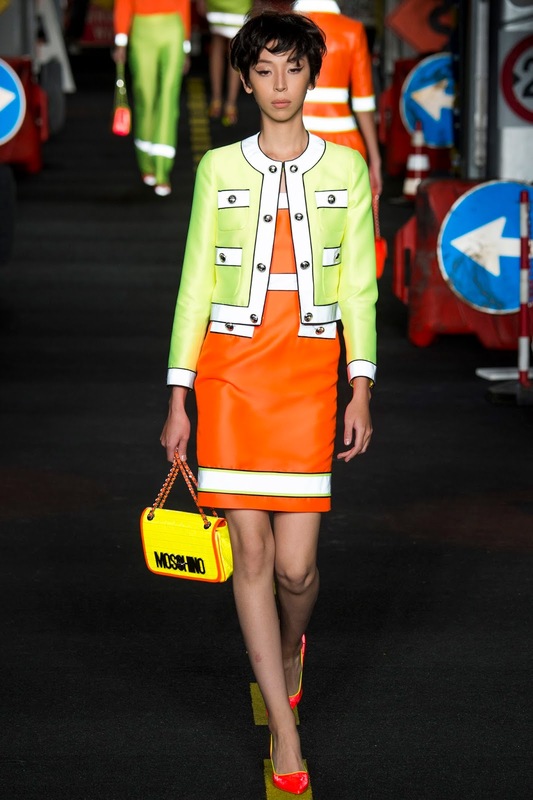 Moschino is like no other brand we see during Fashion Month. 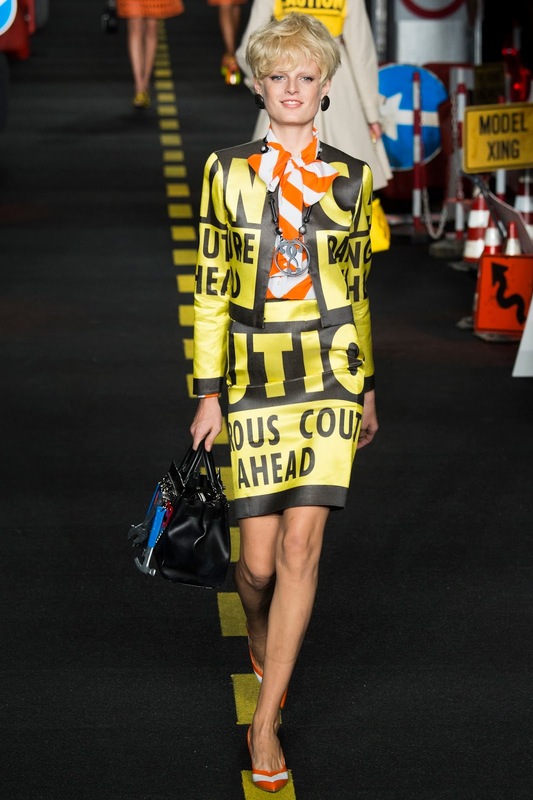 It brings fun and excitement to the it. 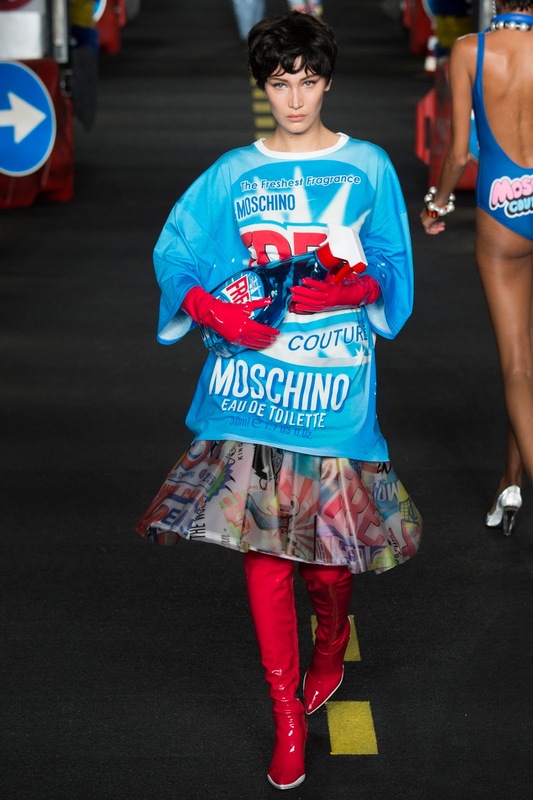 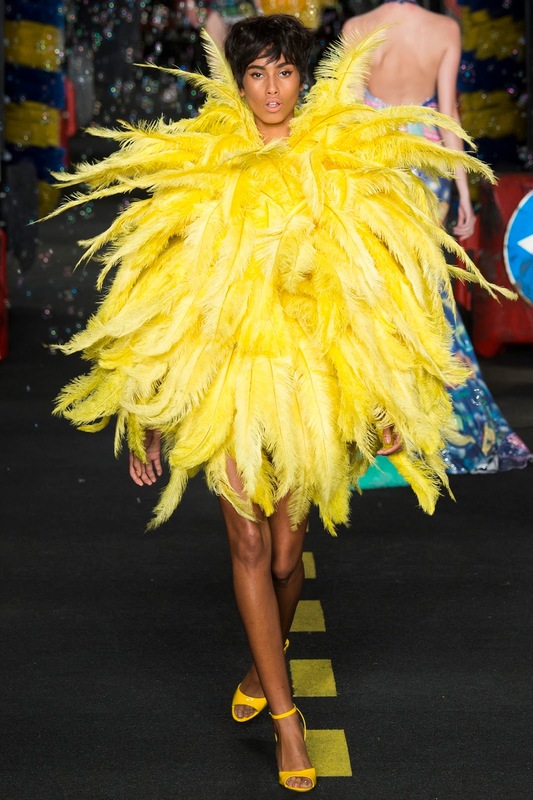 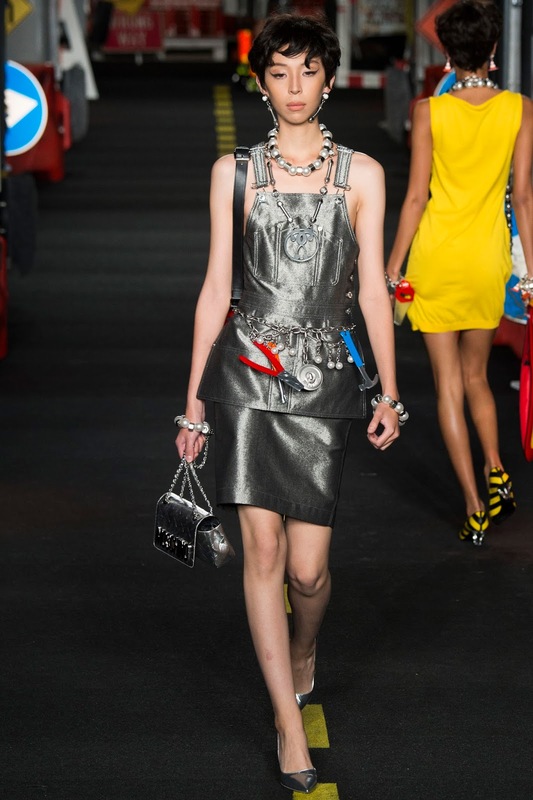 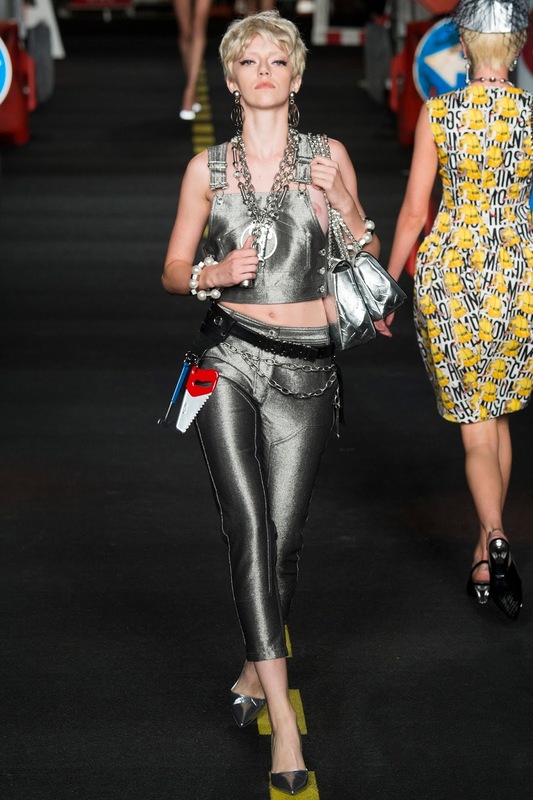 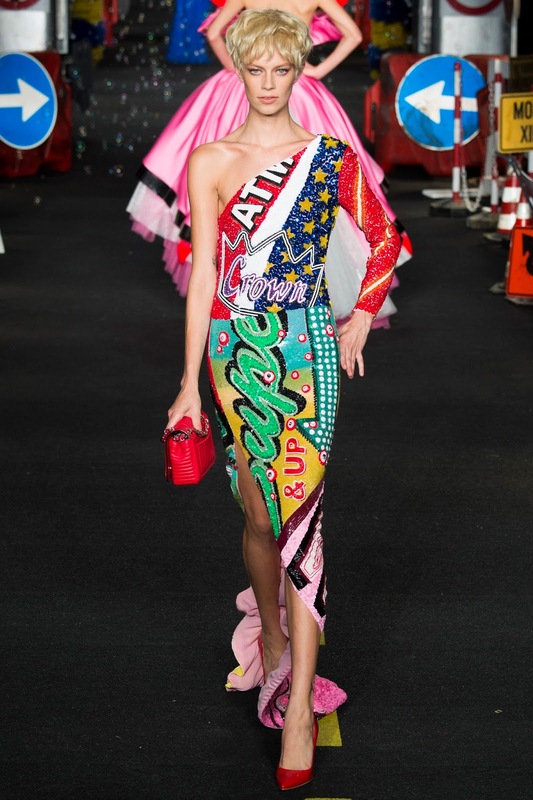 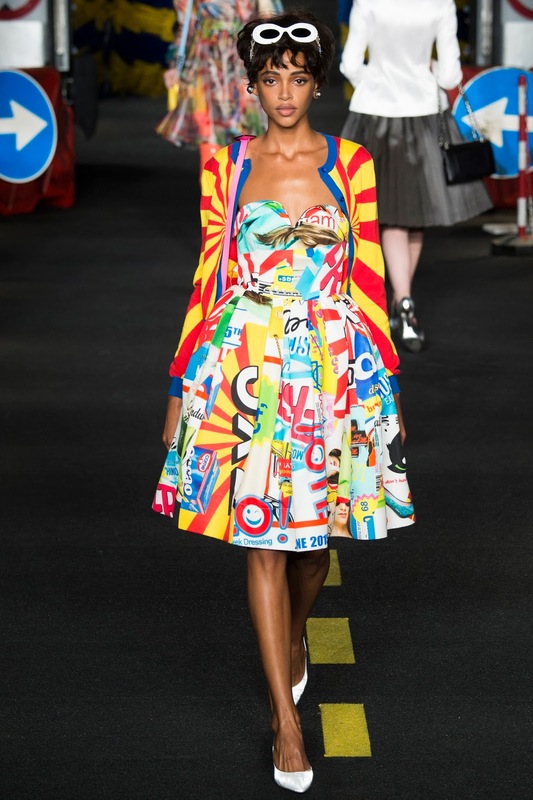 It's as if no designer has as much fun as Jeremy Scott does designing for Moschino or his namesake brand. 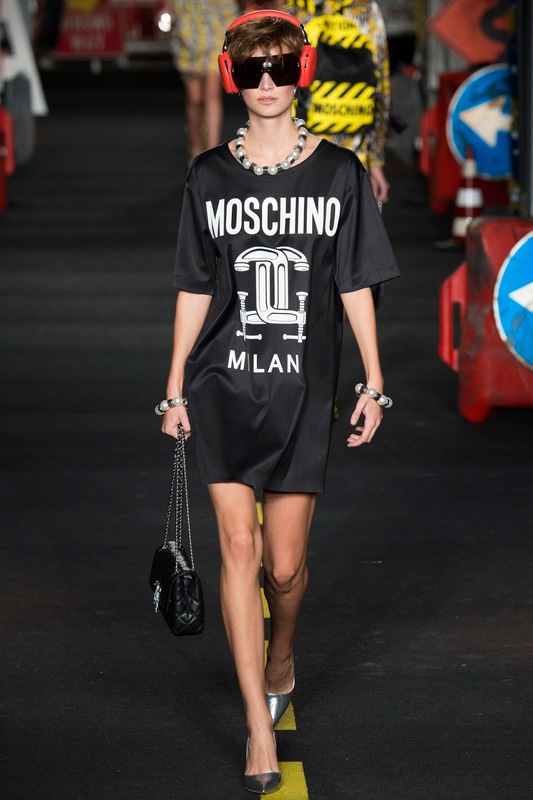 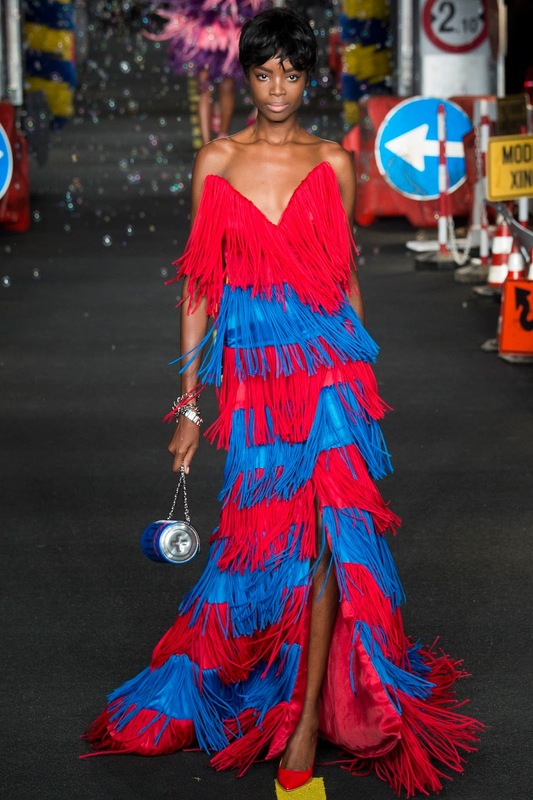 Moschino is loved by the well-known, down to earth celebrities such as Katy Perry and Miley Cyrus - who are, like the brand, quite eccentric with their style and have no boundaries with what they wear or how they wear it. 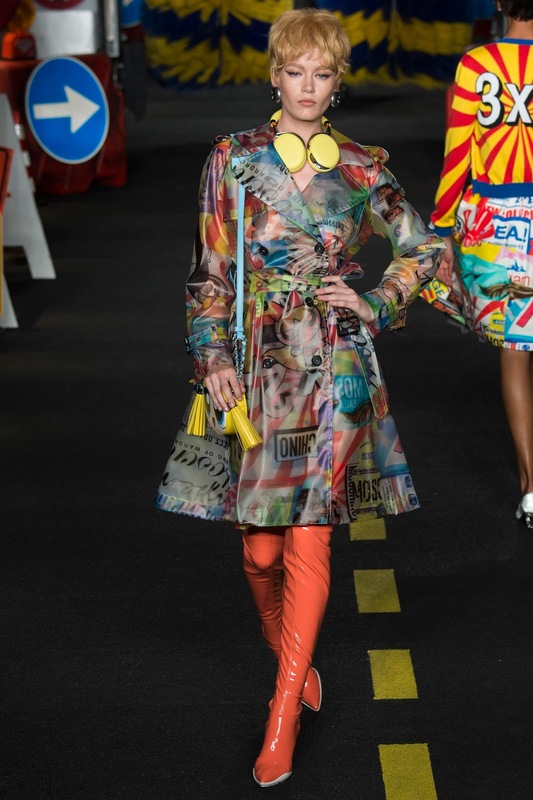 Which I absolutely love!! 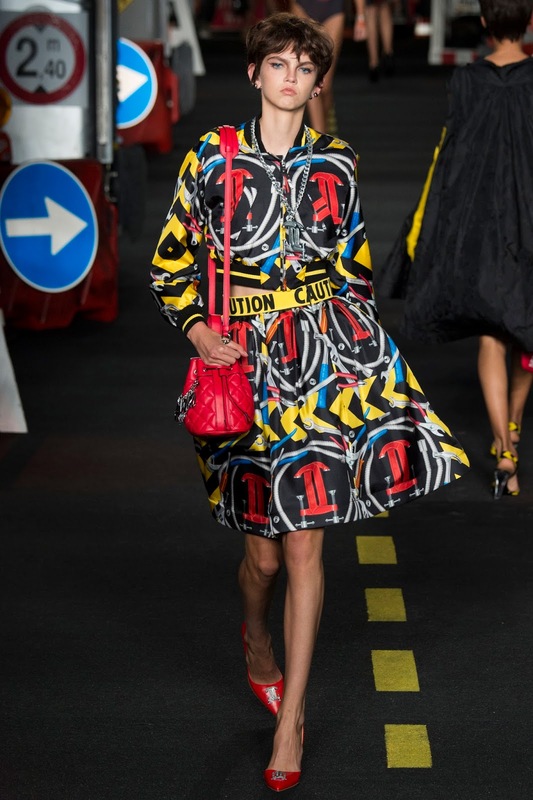 With every season, Jeremy Scott brings a new idea for design to the brand. 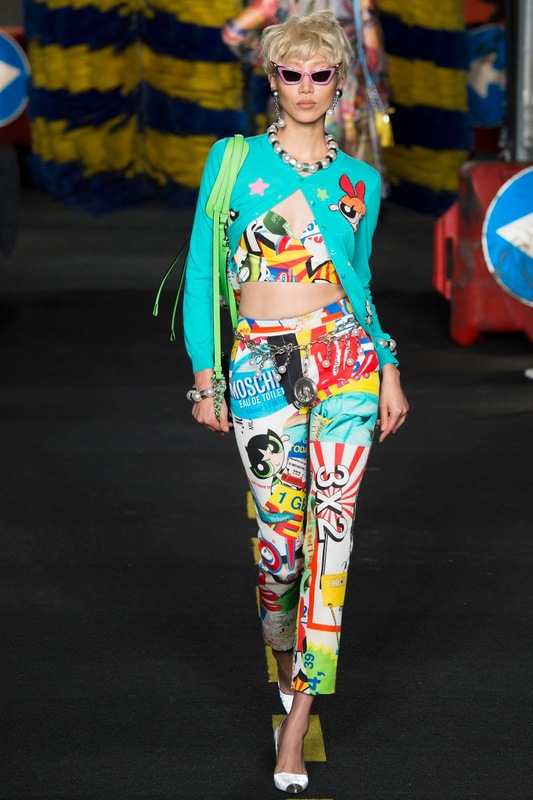 Previous influences being Barbie, McDonald's and even Spongebob Squarepants! 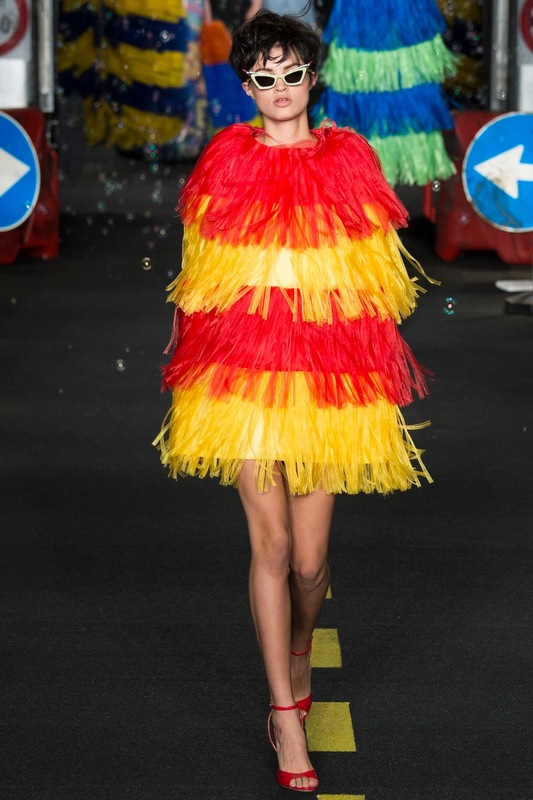 But this season, he has gone for Car Wash Couture. 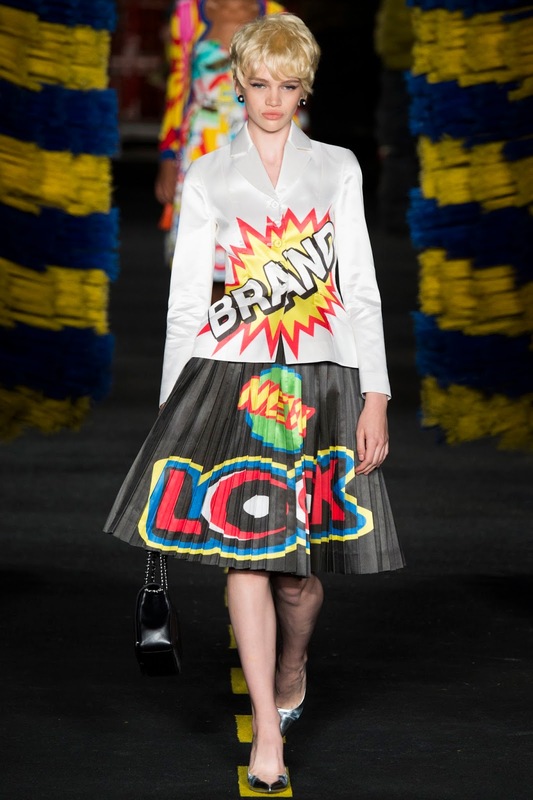 I sometimes wonder if he will ever run out of ideas, but each time he just delivers and it gets better each time. 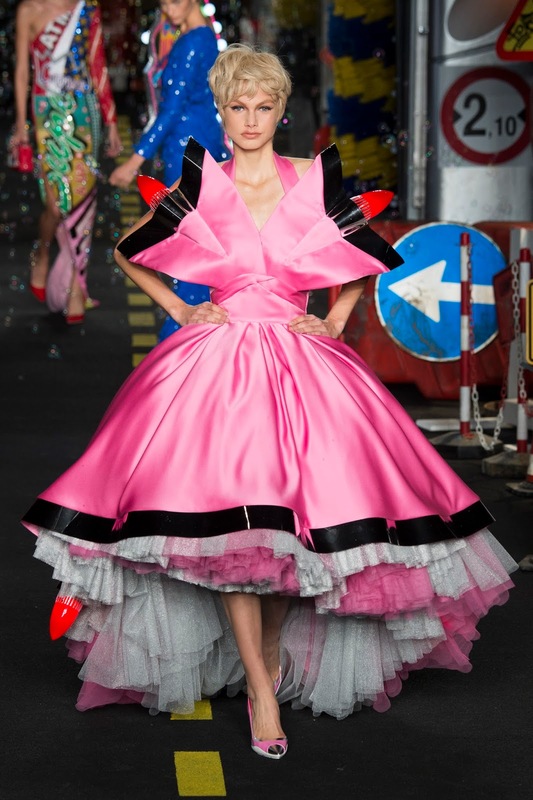 The show incorporated everything you can imagine to do with the concept. 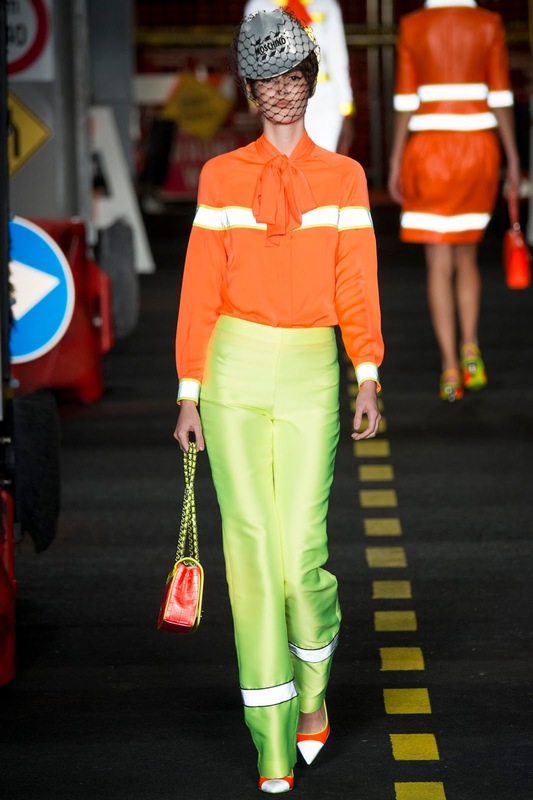 Traffic Cones, Traffic lights and cleaning products - with even a "real life" car wash being present with the models walking through showing off the collections. 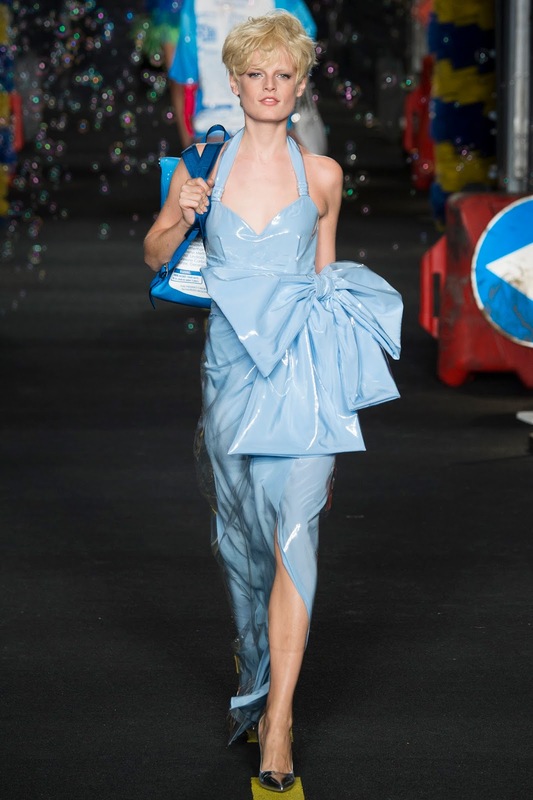 Bubbles were even coming from the huge decor floating along the road painted runway - can Jeremy ever do any wrong? 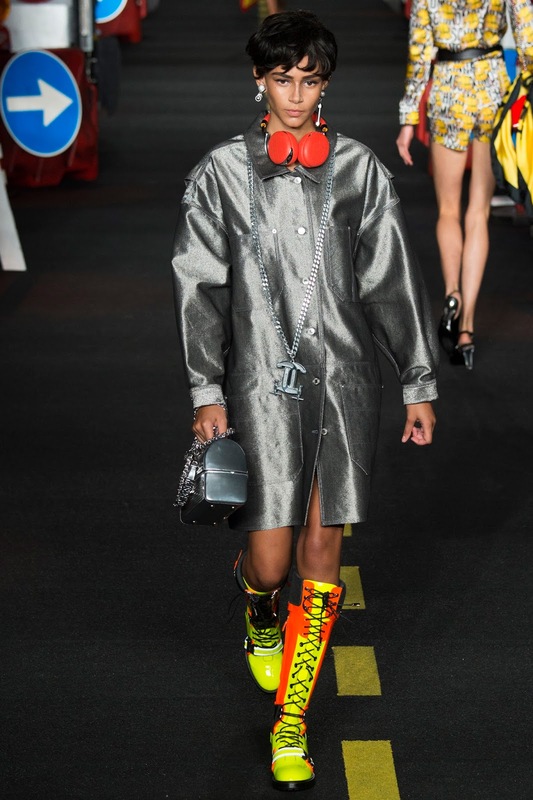 Jeremy just thinks in the moment as we can see with his collections. 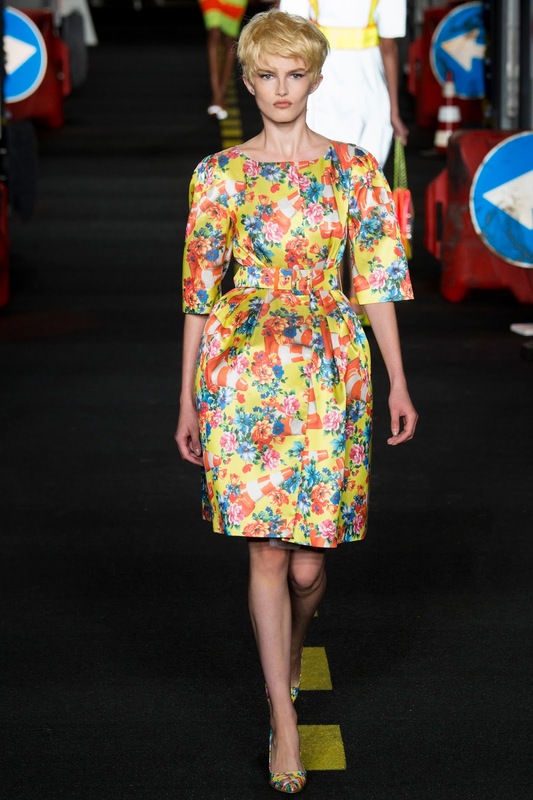 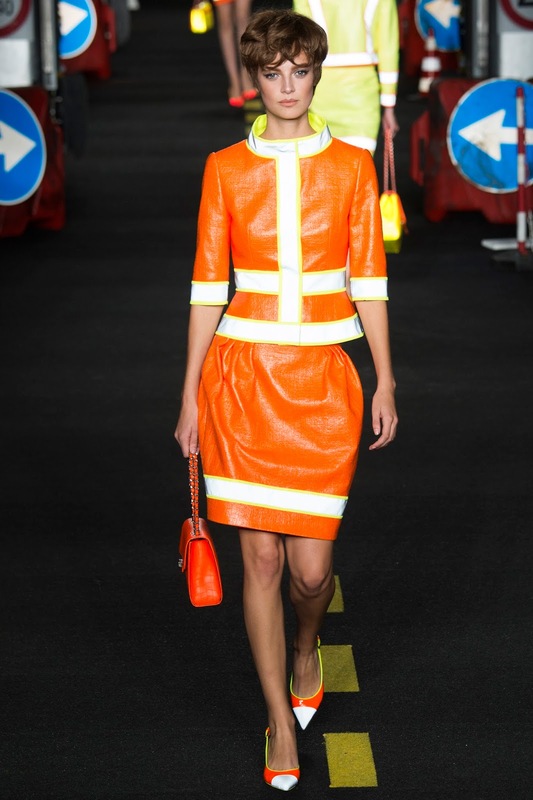 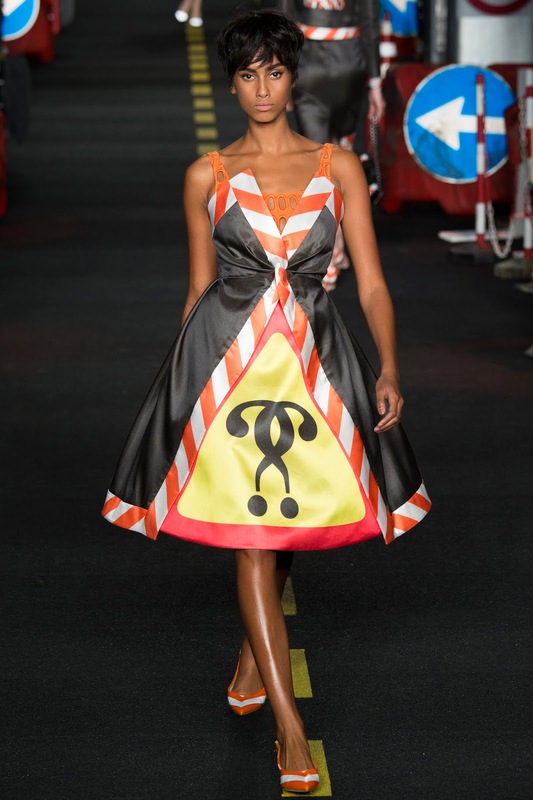 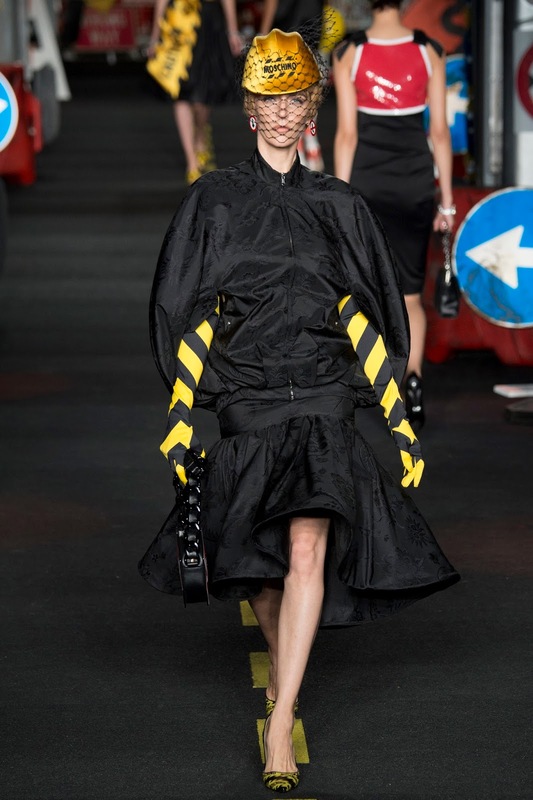 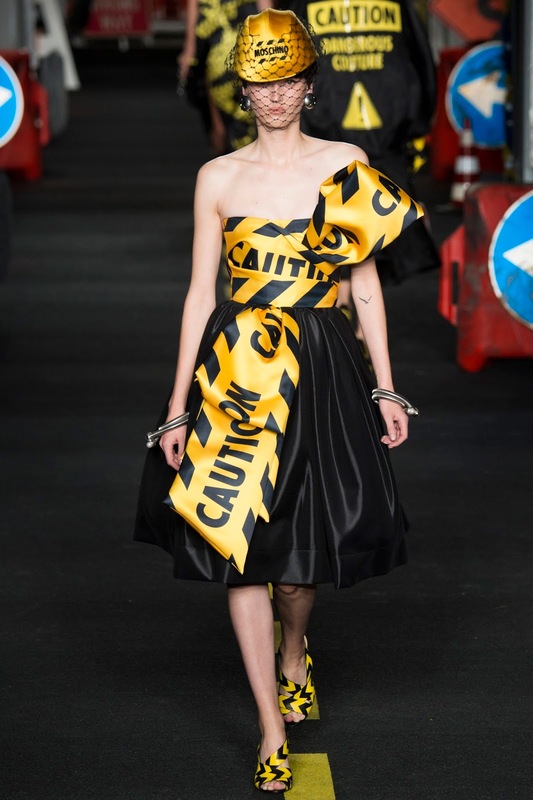 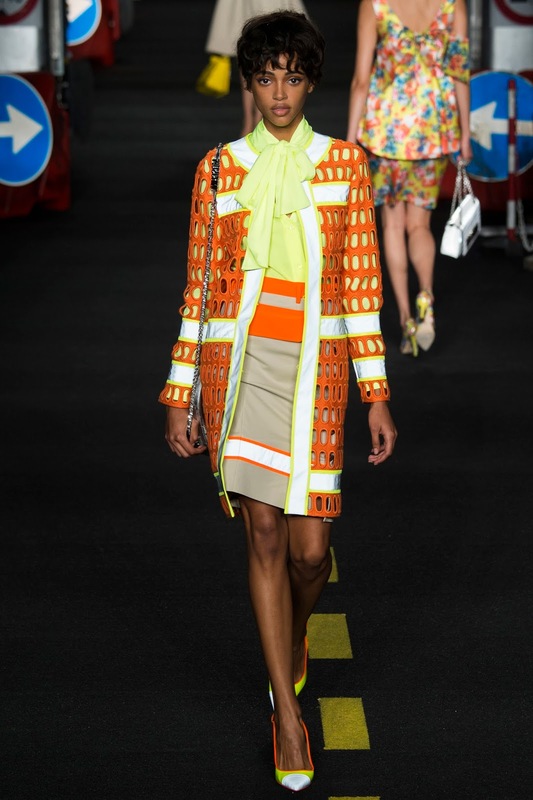 A dress that wrote "SHOP" instead of "STOP" graced the catwalk, "CAUTION" Yellow signs were printed across one look, with some looks even being a "traffic cone" suit - which did actually take my fancy. 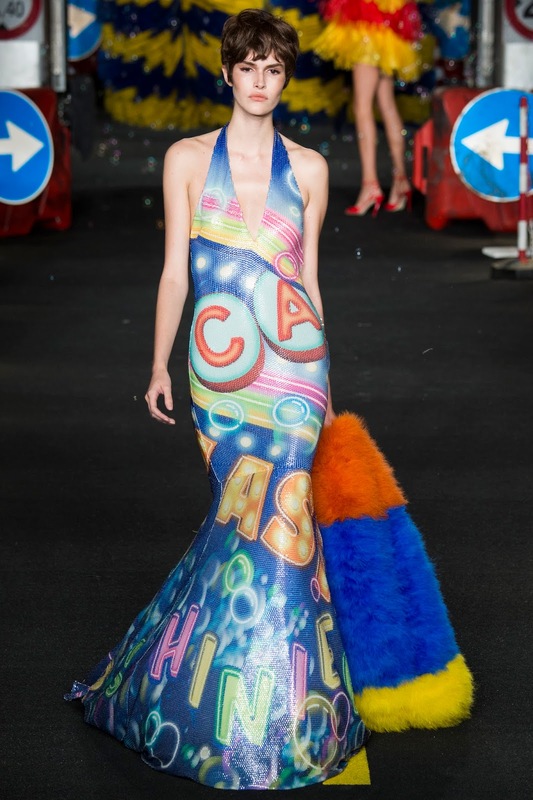 It just worked. 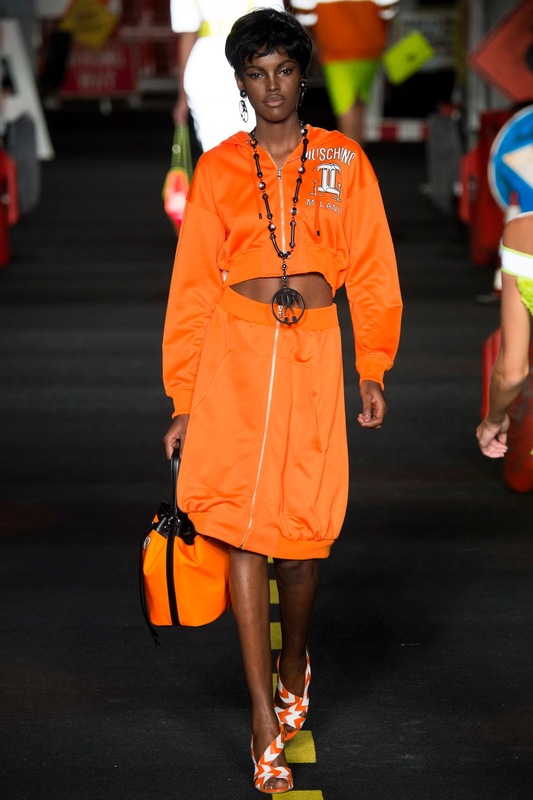 He somewhat uses visual puns in his looks which makes it not only unique, but enjoyable to watch. 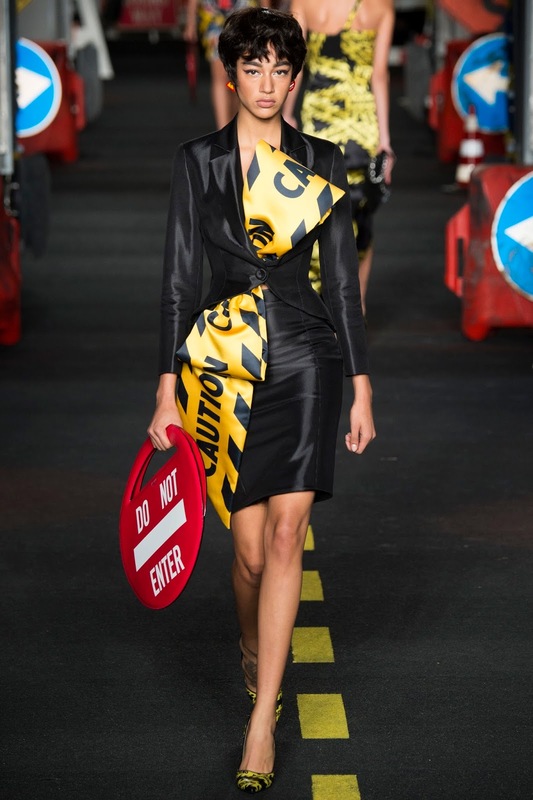 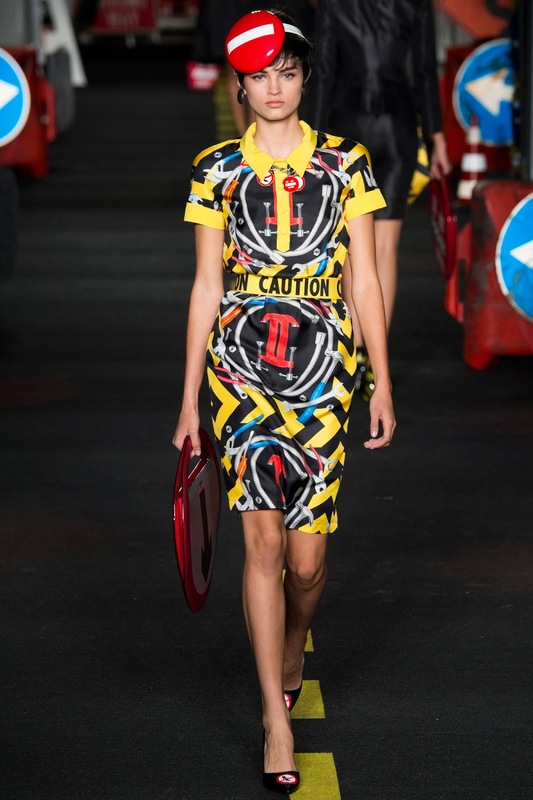 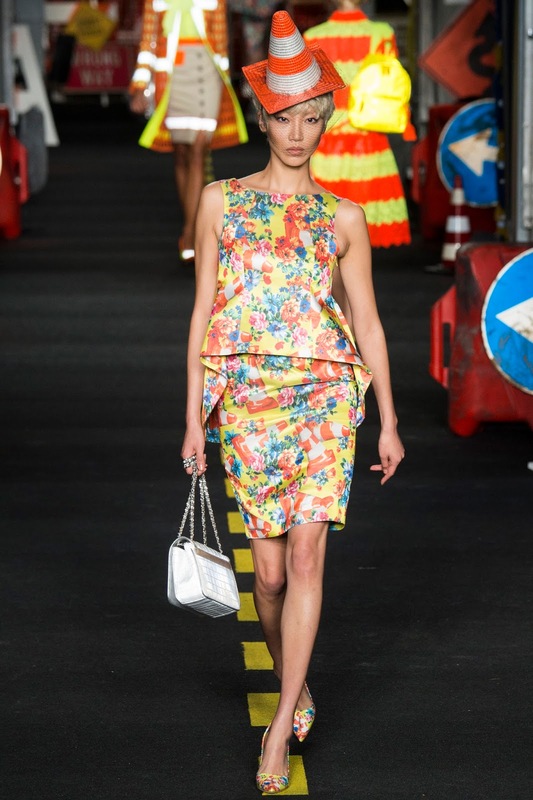 Accessories came as tool boxes and lunch box bags - teamed with "CAUTION" printed heels. 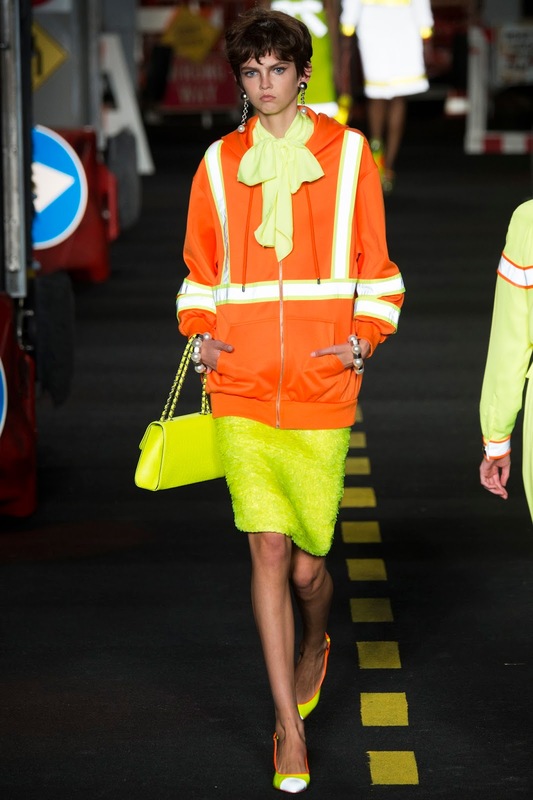 The suits which I had mentioned were neon coloured, making them even more outstanding than they already were! 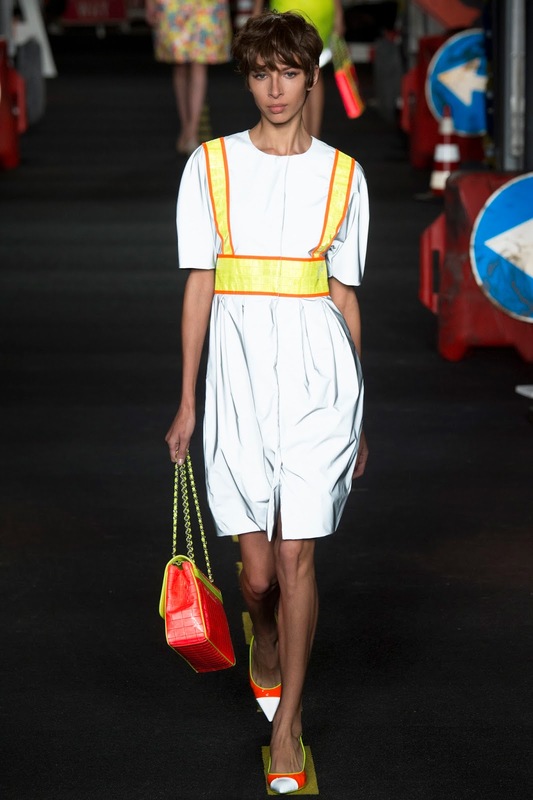 I particularly loved then "ONE WAY" bag - making a statement to say the least.